Each day, amazing things are happening at Munson Medical Center. From offering the highest quality care and positively impacting lives through the use of state-of-the-art technology, to providing an excellent place to work and to grow for so many individuals here in northern Michigan, Munson Medical Center is more than just a facility or location. We are a community – a community that extends far beyond our hospital walls. 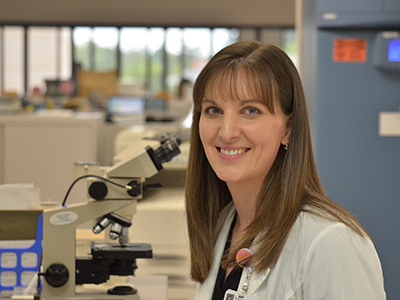 We are a team of more than 4,000 with the privilege of serving thousands of patients each day, at Munson Medical Center as well as at Munson Community Health Center, Cowell Family Cancer Center, and numerous outpatient locations. We have been your community hospital for more than 100 years, and we take very seriously our obligation to care for you and your family in times of need. Within our community are stories of healing and recovery, of lasting connections made between health care team members and their patients, of significant technology advancements that lead to a higher quality of life. We invite you to learn more about our progress as a hospital—as a community—here. Did you know that we have our very own wood shop at Munson Medical Center? 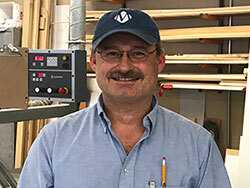 Meet Glen, one of our senior carpenters who helps build hundreds of special projects to help our patients and staff across our entire Munson Healthcare family feel welcome and comfortable. Our award-winning heart team is doing amazing things for our patients with the help of leading-edge technology. 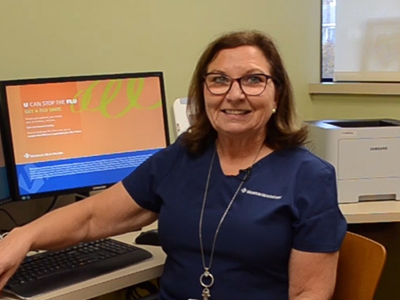 See some of these exciting, life-changing devices at work and meet two of our amazing heart care providers, including Lori - a cardiovascular device technician. We are truly blessed to have nearly 350 volunteers (and counting) helping to greet our patients, assist them with wayfinding, and so much more. 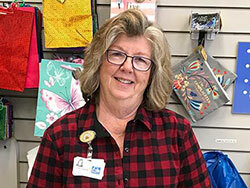 Our popular gift shop is run almost entirely off the support of our generous volunteers, resulting in over $100,000 in proceeds each year that go directly back to our hospital. Learn more about these amazing volunteers and see the cool new scope from this year’s proceeds! 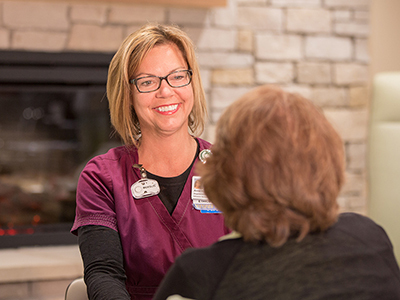 Every day, 4,887 health care team members at Munson Medical Center are doing amazing things together. Whether they're caring for patients directly or working behind the scenes, each individual member of our team plays a critical role. With 442 beds, Munson Medical Center is the region's largest hospital and the referral center for all of northern Michigan. We deliver the same high quality advanced specialty care you would find at a major medical facility downstate - but with a hearty dose of small town kindness and compassion. We are committed to excellence in all we do because we want the best for you and for those you love. To help guide us in all that we do, each and every day, we adhere to our “True North” philosophy. At the center of this compass is the patient and the patient’s experience, with the four additional areas of focus including: making this a great place to work; ensuring a safe team and safe care; delivering the right care, at the right time, and in the right place; and ensuring a strong future. Learn more about True North. The Compass: The Compass is Munson Healthcare's internal newsletter featuring staff, providers and volunteers who are focused on continuing to make Munson Healthcare a great place to work, a safe place to receive and deliver care, provide quality patient outcomes and ensure we are sustainable for the future – all with the patient at the center of all we do. Nursing Annual Report: Our nurses are respected clinical experts and valued partners in care. They are recognized as mentors, educators, and strong health care advocates. Professional nursing practice is emphasized and Shared Governance provides a framework for nurses to participate in clinical decision-making and improve the quality of their work life. Munson Healthcare Foundation's Focus Magazine: This regular publication is mailed to all donors and showcases the latest in innovative services, generous donors, and events in our communities. View these publications to learn more about our latest accomplishments. We have an enormous responsibility to ensure we do the right thing for every patient, and we take this responsibility very seriously. Quality is a core focus and it weighs heavily in each decision we make. Learn more about how we ensure safe, quality care. Health care team members going above and beyond. Expert care delivered at the right time. New technologies that make life enjoyable again. No one explains who we are and what we do better than our patients. Read and listen to their stories.